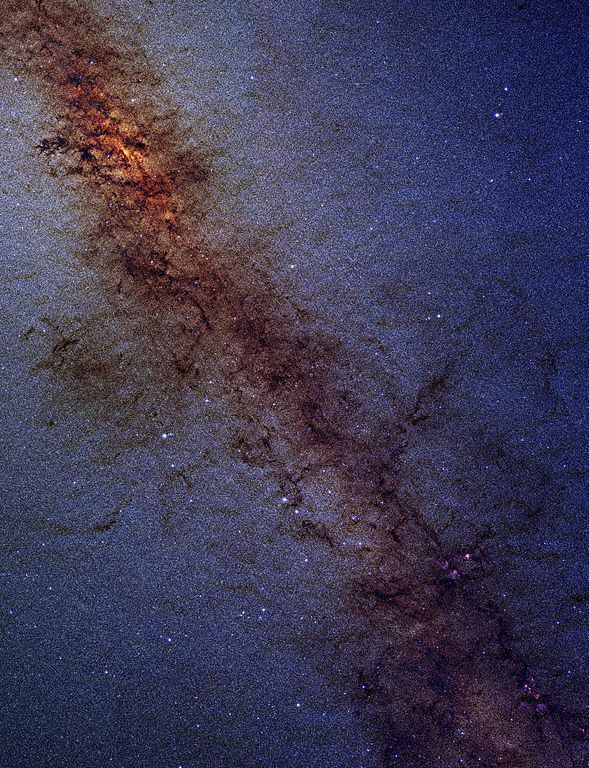 Nowadays it is well-established that in the centre of the Milky Way a massive black hole (MBH) with a mass of about four million solar masses is lurking. The key to understanding these holes, how some of them grow by orders of magnitude in mass is to understand the dynamics of the stars in the galactic neighborhood. Stars and the central MBH chiefly interact through the gradual inspiral of the stars into the MBH due to the emission of gravitational radiation. Also stars produce gases which will be subsequently accreted by the MBH by collisions and disruptions brought about by the strong central tidal field. Such processes can contribute significantly to the mass of the MBH and progress in understanding them requires theoretical work in preparation for future gravitational radiation millihertz missions and X-ray observatories. In particular, a unique probe of these regions is the gravitational radiation that is emitted by some compact stars very close to the black holes and which will could be surveyed by a millihertz gravitational wave interferometer scrutinizing the range of masses fundamental to the understanding of the origin and growth of supermassive black holes. The study of galactic nuclei has advanced rapidly during the past few years, not least due to major advances in high angular resolution instrumentation at a variety of wavelength domains. Observations carried out with space-borne telescopes, such as the Hubble Space Telescope, or from the ground, using adaptive optics, have allowed us to study the kinematics of stars or gas in regions reaching down to sub-parsec scales for external galaxies and to the milliparsec range for the Milky Way. An outstanding conclusion is that dark compact objects, very probably massive black holes (MBH), with masses ranging between a million and a thousand million solar masses, occupy the centre of most galaxies for which such observations can be made. We have discovered that there exists a deep link between the central MBH and its host galaxy. This linkage has been illuminated by the discovery of correlations between the mass of the MBH and global properties of the surrounding stellar system, the spheroid of the galaxy, most tightly in its velocity dispersion σ, the so-called M − σ relation. Claims of detection of “intermediate-mass” black holes at the center of globular clusters raise the possibility that these correlations extend to much smaller systems but the strongest –if not totally conclusive– observational evidences for the existence of IMBHs are ultra-luminous X-ray sources. The origins of these (I)MBH is still shrouded in mystery, and many aspects of their interplay with the surrounding stellar cluster remain to be elucidated. The centre-most part of a galaxy, its nucleus, consists of a cluster of a few tens of millions to a few thousand million stars surrounding the MBH, with a distance of a few parsecs. The nucleus is naturally expected to play a major role in the interaction between the MBH and the host galaxy. In the nucleus stellar densities in excess of a million stars per cubic parsec and relative velocities of the order a few 100 to a few 1000 km/s− are reached. In these exceptional conditions, and unlike anywhere else in the bulk of the galaxy, collisional effects come into play. These include the so-called “2-body relaxation”, that is, mutual gravitational deflections, and genuine contact collisions. The particularly important modes of interaction between stars and the MBH are firstly, that stars can produce gases to be accreted onto the MBH through normal stellar evolution, collisions or disruptions of stars by the strong central tidal field. This means that, if a star happens to pass very close to the MBH, some part of it or all of it may be teared apart because of the so-called tidal gravity of the central object. The difference of gravitational forces on points diametrically separated of the star alter its shape, from its initial approximately spherical architecture to an ellipsoidal one and, in the end, the star is disrupted. These processes may contribute significantly to the mass of the MBH. Tidal disruptions trigger phases of bright accretion that may reveal the presence of a MBH in an otherwise quiescent, possibly very distant, galaxy. Secondly, stars can be swallowed whole if they are kicked directly through the horizon of the MBH (so-called direct plunges) or gradually inspiral due to the emission of GWs. The latter process, known as an “Extreme Mass Ratio Inspiral” (EMRI) is one of the main objects of interest for eLISA and our work in the group: A compact object, such as a star so dense that it will not be disrupted by the tidal forces of the MBH, (say, a neutron star, a white dwarf or a small stellar black hole), is able to approach very closely to the central MBH. When the compact object comes very close to the MBH, a large amount of orbital energy is radiated away, causing the semi-major axis shrink. This phenomenon will be repeated thousand of times as the object inspirals until is swallowed by the central MBH. The “doomed” object spends many orbits around the MBH before it is swallowed. When doing so, it radiates energy which can be conceptualized as a snapshot containing detailed information about space-time and all the physical parameters which characterize the binary, the MBH and the small stellar black hole: their masses, spins, inclination and their sky position. The detection of such an EMRI will allow us to do very exciting science: EMRIs will give us measurements of the masses and spins of BHs to an accuracy which is beyond that of any other astrophysical technique. Such information will tell us about cosmic evolution, about the history and growth of MBHs in the nearby universe, with an accuracy which has no precedent. Progress in understanding this physics requires theoretical work in preparation for the eLISA mission, work that will both suggest new observations and will help to define hardware details of the eLISA mission itself. Previous theoretical work has been limited by oversimplified assumptions. In our group we investigate the dynamic origins of EMRIs with different tools, and we are even developing a hybrid code together with the application of cutting-edge GPU computational technology will allow us to bridge the gap between spherical nucleus models that focus on collisional effects and simulations of larger structure that are able to account for complex non-spherical geometry and that include relativistic physical models. Besides helping to define the eLISA mission specification, this work will reveal the currently obscure connection between MBH growth and galactic evolution in fine detail. In so doing, the proposed research will make important impacts in other areas of theoretical and observational astrophysics: in the study of the structure of galactic nuclei, in their kinematics and in the field of extra-galactic UV/X-ray astronomy.